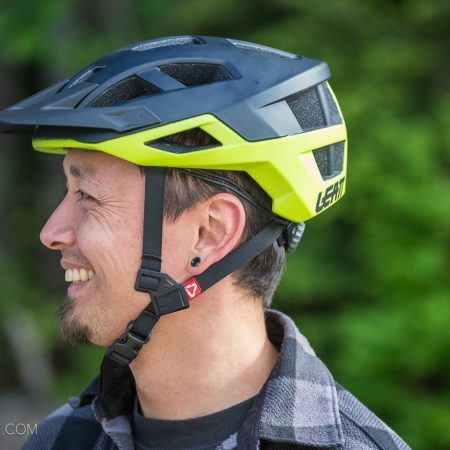 The Leatt DBX 3.0 Enduro v2 Convertible full face helmet is a looong name for a helmet that doesn’t really roll off the tongue. That said, since the initial tease last year at Sea Otter, we’ve been looking forward to its release. 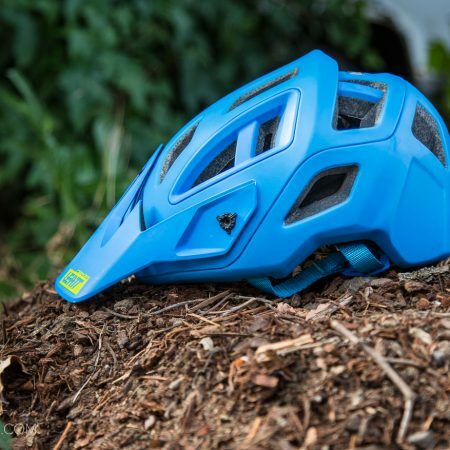 Riders looking for versatile, lightweight trail helmet with near DH-level (think Enduro) protection have another solid option to choose from. I’ve been rocking this thing for the last several months now and like the rest of Leatt’s stellar offerings, it looks great while getting the job done. 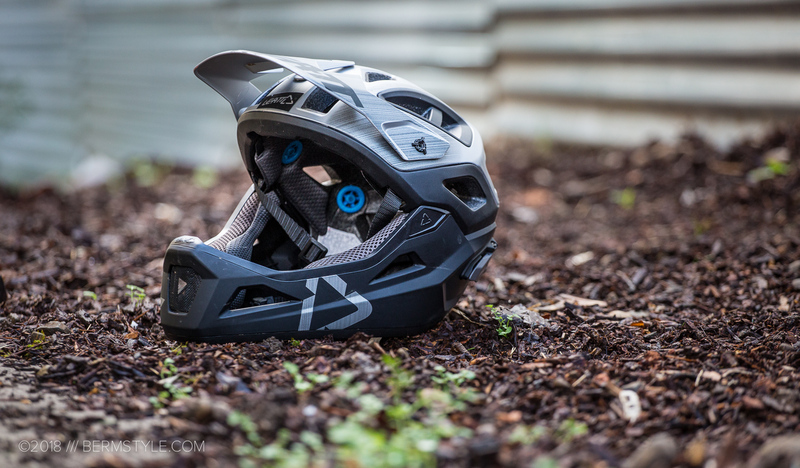 These days helmets aimed at “enduro” style riding have a lot asked of them. Admittedly the “enduro” label can be confusing for some. What’s the difference between trail, all mountain and enduro anyway? 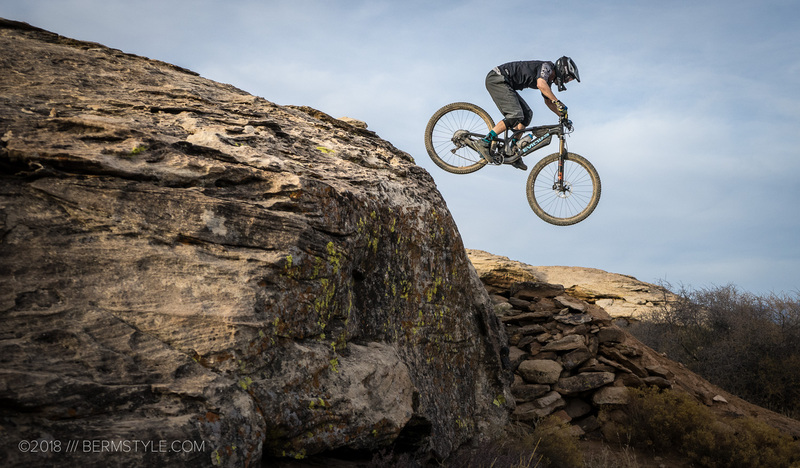 Considering most actual mountain bikers are unlikely to line up at the starting gate every weekend, in our take it refers to riding trail bikes on trails we used to ride ride our downhill bikes bikes, but at similar rates of speed and levels of intensity. The convertible full face features a removable chin bar for front impact protection. Leatt’s 360º Turbine technology is carried over from the other models, providing for reduction of rotational acceleration to the brain. 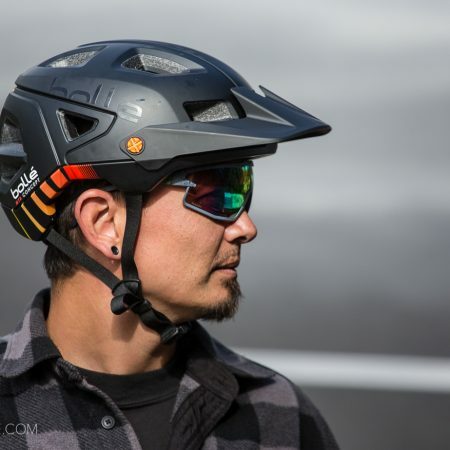 It’s Leatt’s take on the MIPS style technology, and while I have yet to bang my head into a stationary object wearing the DBX, the additional level of protection is appreciated. The removable chin bar attaches with two tabs on each side, secured with two clamps. While it isn’t rated for full on DH level protection, the DBX 3.0 Enduro is ideal for riders that pedal to the top of aggressive trails that want the protection a full face provides. 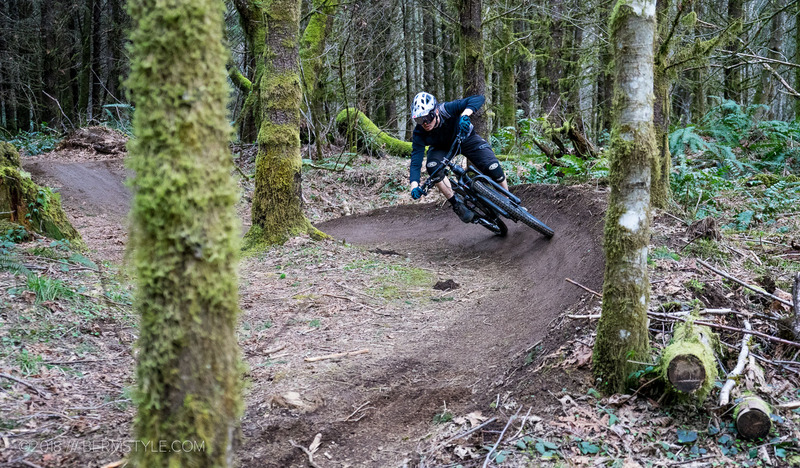 It’s an ideal solution for riders that earn their turns but still want to attack the double black lines, and is much preferable to a traditional full face in these scenarios. 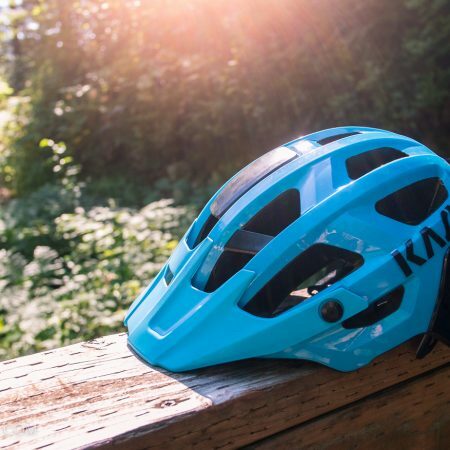 As riders that enjoy traveling to destinations to explore and ride new trails, there’s a strong appeal of a helmet that pulls double duty and takes up less space in the gear bag. I’ve wanted a convertible helmet for a while but none of the models fit my “asian head” without running a large or XL size. But then its big front to back. The Leatt fit gels much better with my head shape, so I was especially stoked when the DBX 3.0 Enduro helmet sample arrived. It was the ideal match for the riding on a trip to the southwest to log some riding time in sunny weather. It breathes like a trail bike helmet, even with the chin bar attached. For climbs under a mile or rides where we’re pedaling to session drops or dirt jump features the light weight is appreciated as well. Like the Leatt DBX 3.0, the Enduro convertible full face edition is goggle friendly with the chin bar attached and without. The best aspect of the DBX 3.0 Enduro is its versatility. Essentially two helmets in one, instead of having to pack a separate full face for trips, I just pack one and the bases are covered. Seeing as how we’re regularly riding DH trails on our trail bikes that we used to only ride on DH bikes, the additional protection is a good idea. Plus, with my primary bike being a 6″ travel enduro class rig, depending on whom I’m meeting for the day I’m up for running DH shuttles or pedaling up the mountain to rip back down. This helmet makes my gear bag much easier to pack. With the chin guard removed its almost the same helmet as the DBX 3.0, and although the V2 more expensive, its versatility and the fact it’s two helmets in one has a lot of value. The helmet fits well and doesn’t move around while riding, plays well with glasses and goggles. Removing the chin bar and strapping it to a pack or waist bag is easily done, as is reattaching the chin bar before the descent. If your favorite ride has a long climb followed by lots of descending, having the additional protection is great. It’s worth mentioning the first time I pulled the chin guard off, I over muscled it and broke one of the tabs. Leatt replaced the broken piece and now I know how the helmet attaches I can’t imagine it would ever happen again. That said, the first time you remove it, I’d recommend reading the manual and following the directions to avoid the scenario I found myself in. Head shape: My head measures 57cm; I wear a medium. It is a good fit using the rear adjustment to snug it up. We’ve observed the DBX can accommodate a variety of head shapes in comparison to some of the other convertible models currently on the market competitors. Though it skews towards oval shape heads, it is compatible with my “rounder” head, where models from Bell and Giro would require me to run a large with the rear adjustment maxed to even get my head in. It’s still more Shoei than Arai (a reference for those motorcyclists out there) but seems to fit a wide range of people.